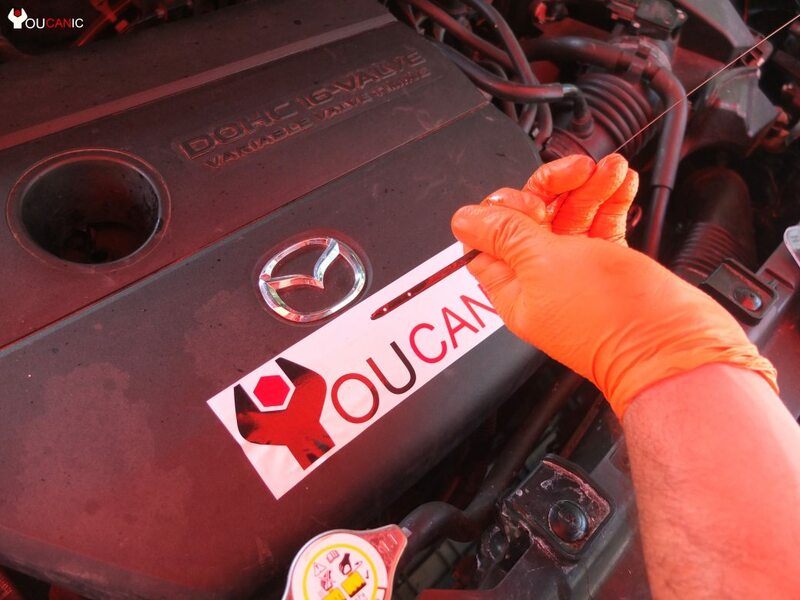 Learn how to check the engine oil level and add oil on Mazda 5. Checking Mazda5 engine oil level is easy and takes less than five minutes. 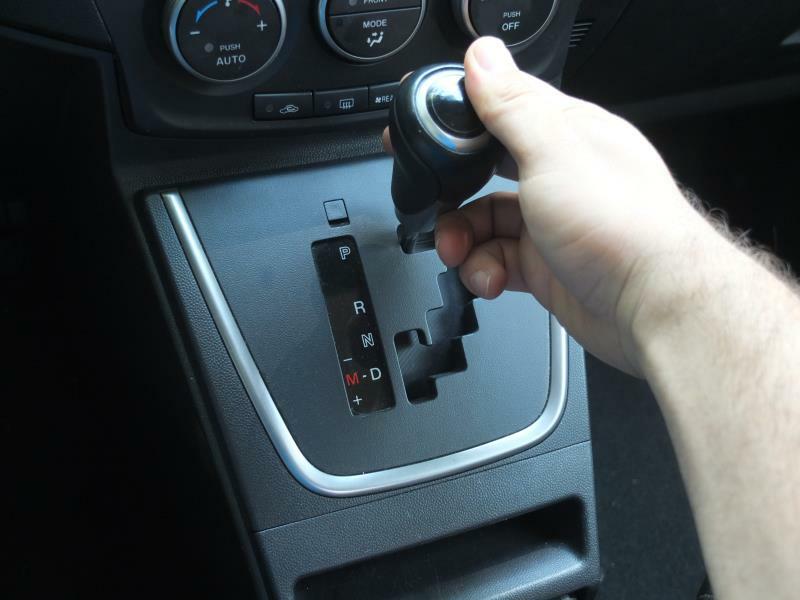 This guide applies to Mazda 5 model years 2010 2011 2012 2013 2014 2015 2016 2017 2018. If the oil level is low, make sure to add the recommended oil type which typically is 5W-20 or 5W-30. Check your owners manual. If the engine oil level is low on your Mazda, add oil to bring the oil reading up to the recommended level. Below you will find the instructions on how to add oil to Mazda 5. Watch the video clips for more help. Park your Mazda 5 on a level surface. This will help you get an accurate readign when you check the engine oil level. Turn off the engine and wait at least five minutes before you proccede to check the engine oil level on your Mazda 5. This will allow the engine oil to return to the oil pan which is necessary to take an accurate reading. Set parking brake. Open hood by pulling the hood release under the dashboard. Locate the engine oil dipstick at the front of the engine. Remove oil dipstick and wipe it clean. Remove the oil dipstick. Wipe the oil off the dip stick. Note both the minimum and maximum marks. Reinsert the dipstick back into the oil dip stick tube. Pull the dip stick out and check engine oil level on your Mazda 5. The level needs to be between the min and max mark. If the engine oil level is below the min mark, you need to add engine oil to your Mazda5. Follow instructions as described in the next step. Locate the oil filler cap on top of the engine. This is where you add oil to your Mazda 5. Start by adding about half a quart (litter) at the time and check the level again. If the oil level is still under the MIN mark, add more oil. Don't overfill your oil above the MAX/FULL mark. Only add recommended oil level as stated in your owners manual. Typically 5W-20 or 5W-30 Synthetic Engine Oil. If the oil light remains illuminated even though the oil level is normal or after adding oil, stop the engine immediately and have your vehicle towed to a mechanic.